— Michal Berg, President and CEO of Spirituality for kids international, inc.
Tiev (pronounced Tee-ev), is a young girl who decides to dream about her path in life. Her dreams are vivid and exciting; however, when she shares them with her well-intentioned family they quickly tell her why she cannot be any of the thing her heart desires. Feeing lost, hurt, and confused, Tiev, encounters a being, I Am. Tiev and I Am embark on an outstanding journey wherein Tiev learns who she truly is and the gifts inherent in each of her desired paths. ​In reading, My Forgotten Self, children and adults alike will experience to deepen their spiritual awareness as they follow Tiev, and learn the truth about who we really are as Spiritual Beings. Tiev is the little girl in all of us who are still questioning our gift to humanity. We too can find our answers when we become still and go within. Lynyetta has found a way through a child's heart to teach teens and adults alike. My Forgotten Self, a beautiful reminder to enter our true self and remember to hear the essence within! 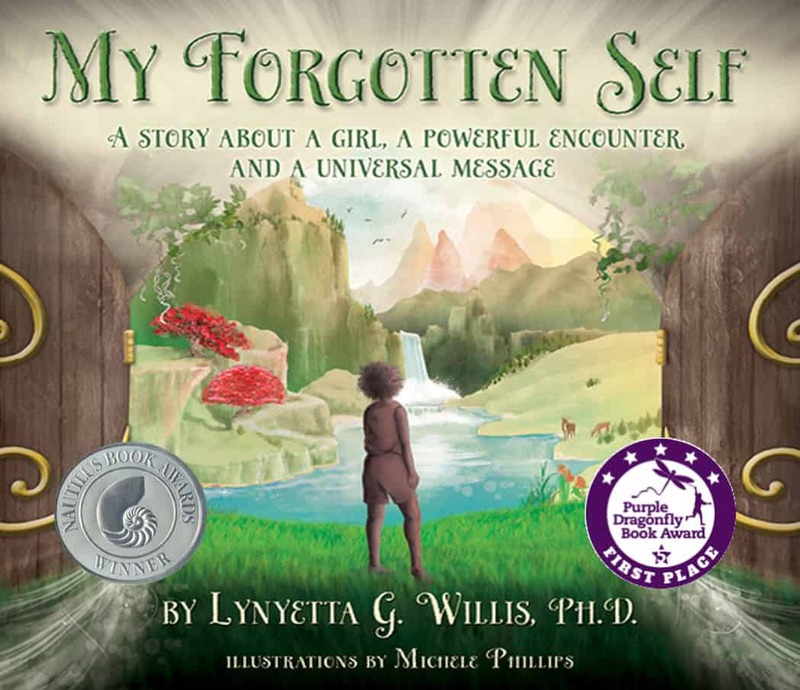 My Forgotten Self, reminds children of their inherent knowing of who they are and the life purpose they have been born to fulfill. Read this book to your children and watch how their soul-memory awakens--inviting you to welcome and nourish it. What a gift to parents, caregivers, and adults, who are in a position to encourage a child's self-trust and inner fulfillment. Michal Berg, President and CEO of Spirituality for Kids International, Inc.